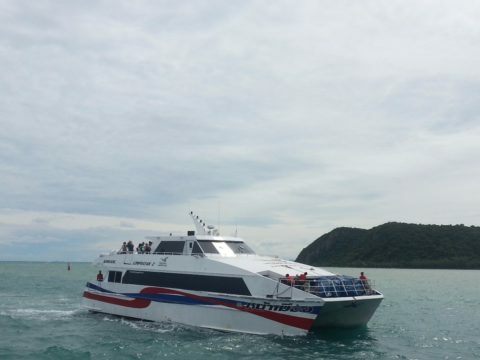 You can travel direct from Koh Tao to Hua Hin with the combined ferry and bus service operated by the excellent Lomprayah High Speed Ferry Company. The Lomprayah Company have two services a day from Koh Tao to Hua Hin, one of which leaves in the morning and an another which departs in the afternoon. 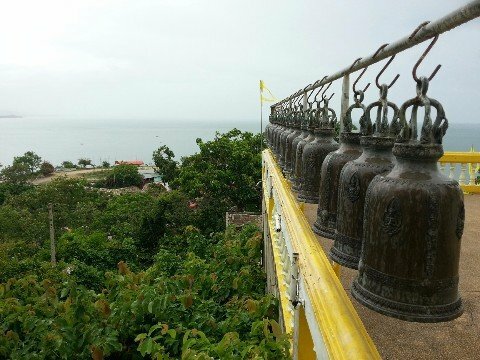 Alternatively, you could take a ferry and bus service from Koh Tao to Chumphon Train Station and from there take a train to Hua Hin. Stage 1: Travel by high speed ferry from Koh Tao to Thung Makham Ferry Pier near Chumphon (1 hour and 30 minutes). Stage 2: Travel 292 km by modern bus from Thung Makham Ferry Pier to Hua Hin town centre (4 hours and 00 minutes). Use the Search Box below to book tickets from Koh Tao to Hua Hin. The morning departure tends to be the most busy, particularly during the week after the monthly Full Moon Party on Koh Phangan (where the ferry stops to pick up passengers before continuing onto Koh Tao) and we recommend booking in advance. Lomprayah bus services arrive in Hua Hin centre city. From there you can walk to a number of good and inexpensive hotels in the same area as Hua Hin train station and the popular Nigh Market. A good value for money option is the Chaba Chalet in Hua Hin, a small hotel which is only 600 metres walk away from where the bus from Koh Tao terminates. The Lopmrayah High Speed Ferry Company is the premier provider of Travel Services in the Gulf of Thailand. Service: The Lomprayah Company is provides a modern and professional service. They have dedicated sales offices in Bangkok and a number of major tourist destinations across the South of Thailand, as Koh Samui, Krabi and Phuket. The staff wear uniforms and are generally polite and helpful. This is contrasts with many other travel companies in Thailand whose service standards remain unchanged from 10 years ago when Thailand was primarily a destination for young backpackers. Ferries: The Lomprayah High Speed Ferry Company has a fleet of 7 high speed catamaran ferries. As well as being fast and comfortable boats, they are also the fastest passenger ferries operating in the Gulf of Thailand. Bus Services: The Lomprayah Company also has it own fleet of modern buses, microbuses and minivans. 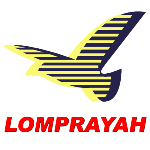 Unlike many other ferry companies in Thailand the Lomprayah Company does not sub-contract the bus transfer aspect of their travel services to other companies, whose reliability and safety is sometimes questionable. Lomprayah bus services are very good and generally arrive on time. The first stage of the journey from Koh Tao to Hua Hin is by ferry which departs from Koh Tao’s main ferry pier on Mae Haad beach. After arriving on the mainland passengers transfer to bus which at terminates the Lomprayah Office on the Kanjanomai Alley in Hua Hin Town Centre.